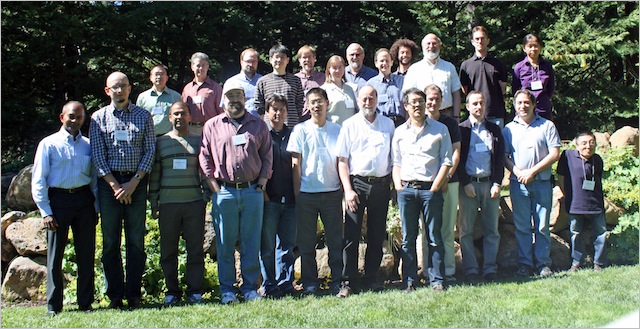 Rich is in Tahoe this week at the DOE CScADS Workshop on Libraries and Autotuning for Extreme-Scale Systems. The slides are being posted as the meeting progresses; you can follow the agenda here. Chris has released DiGPUFFT (pronounced, “dig-puffed”), a set of code patches that add GPU capabilities to P3DFFT, Dmitry Pekurovsky’s distributed memory 3D FFT library. A technical report describing these patches and our performance results for the Keeneland system at ORNL is in the works; it should appear on the DiGPUFFT website later this month or early next.